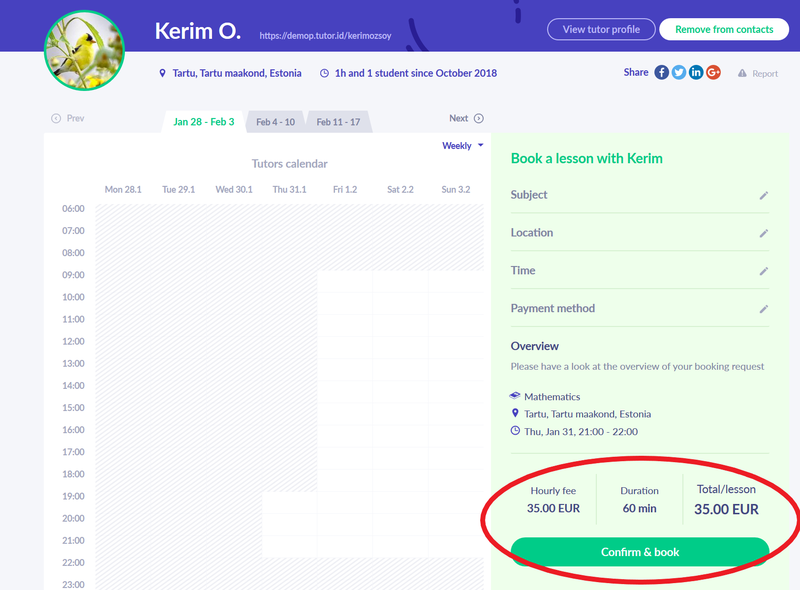 How can I pay for tutoring lessons? You can pay for your lessons online or with cash - depends on your tutor's preference. When it comes to online payments, the first thing we consider is the safety of the process. To ensure your payments, we chose Stripe which is used by millions of companies in over 120 countries. It is the secure and hassle-free choice for our users. It is up to you to choose either one of them unless your tutor specifies that they accept only card payments. The payment menu will come at the end of your booking process. 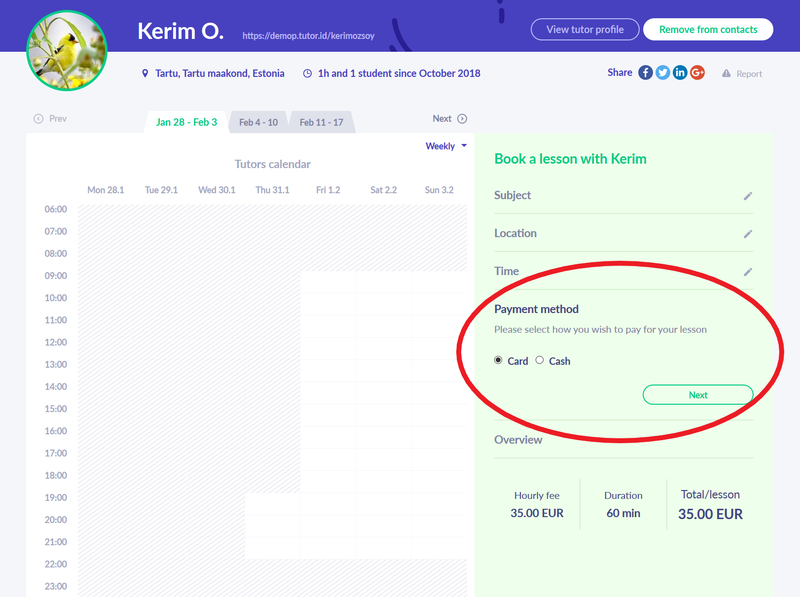 The picture below shows the "Payment method" section. The picture below shows the "Overview" section. As a side note, we're happy that you've chosen to invest in your professional and academic success!